Mostly converting notes for transferring music from Aegis Sonix on Amiga to OldPlayer on C64, but there are also a few notes about the editor I never got around to making for it. Later notes about an editor I almost started working on for the OldPlayer. In the top I mention ditching the idea of making it look like Ubix and instead match the design of SoundTracker on Amiga. Later notes about an editor I almost started working on for the OldPlayer. This was the beginning of the idea of having note columns going downwards, just like in SoundTracker on the Amiga. Copying notes for transferring the Aegis Sonix tune on Amiga to my OldPlayer on C64. The notes also mention that composing it took me three days on the Amiga. Dated December 18, 1987. Copying notes for transferring the Aegis Sonix tune on Amiga to my OldPlayer on C64. You can see in the top that I was a member of Galaxy at the time. Writing this page down for the second voice took almost two hours. Copying notes for transferring the Aegis Sonix tune on Amiga to my OldPlayer on C64. More notes for the second voice of the tune. Copying notes for transferring the Aegis Sonix tune on Amiga to my OldPlayer on C64. This time for the third voice. It took me almost an hour to write down this page. All of the writing took a total of five hours. The final notes for transferring the Aegis Sonix tune on Amiga to my OldPlayer on C64 in 1987. The OldPlayer was adapted on December 21, and I typed in all of the notes the day after. That took 3 and half hours to do. My first ideas for a music editor for OldPlayer that was never made. It was before I saw SoundTracker on Amiga and I had this idea of showing the notes in horizontal bars. My first ideas for a music editor for OldPlayer that was never made. More horizontal bars. Copying notes for transferring my first real Aegis Sonix tune on Amiga to my OldPlayer on C64. Copying notes for transferring an Aegis Sonix tune on Amiga to my OldPlayer on C64 in the beginning of September 1987. The notes mention that it was composed on Amiga in half a day and then written down in two hours. Copying notes for transferring an Aegis Sonix tune on Amiga to my OldPlayer on C64. This is for the second voice. Copying notes for transferring an Aegis Sonix tune on Amiga to my OldPlayer on C64. This is for the third voice. Copying notes for transferring an Aegis Sonix tune on Amiga to my OldPlayer on C64. 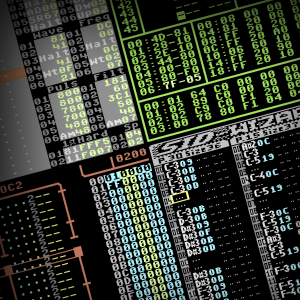 Specific notes about the C64 instruments used. 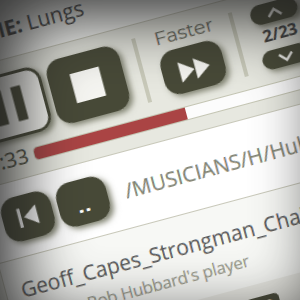 There are notes for a few specific NewPlayer versions, sound effect lists for games, etc. A list of the sound effects for the C64 adventure game Brubaker by Byteriders. A list of the sound effects for the C64 platform action game Harald Hårdtand. A list of the sound effects for the C64 version of the television hit game Skærmtrolden Hugo. Notes for NewPlayer 10.G0, packer and relocator. Notes about improving the next NewPlayer 15.G7. Notes about the hard restart implementation in NewPlayer 17.G1. And a lot of arbitrary hexadecimal numbers. Notes about the pointers in the area right before the C64 editor player code in $1000. The first notes for my NewPlayer series. A list of sound effects for the C64 shoot’em up Orcus, a game that was never finished. Notes about the scale and chords used in my C64 tune Revenge. The calculation of chords for this tune was highly unusual in that I added up chords from the tonal note of the scale. I did this because I wanted to be absolutely sure there would be no disharmonic errors while also using a lot more varied chords than I usually did at the time. Notes about the separate SFX player that could do a lot more sound effect tricks than the music player. Notes about the splitter program, a tool for my music player that could spread the player and data out into several smaller memory chunks. A list of sounds effects for the C64 puzzle game Su-Sweet by Double Density. Ideas for my NewPlayer music editor on C64. Ideas for my C64 music editor for NewPlayer. Ideas for my C64 music editor for NewPlayer, from May 1989. Notes for my C64 music editor for NewPlayer. 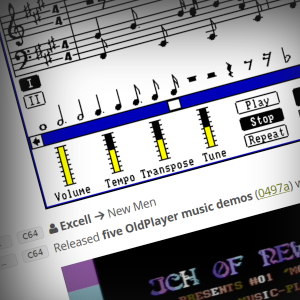 First set of ideas for my NewPlayer music editor on C64. 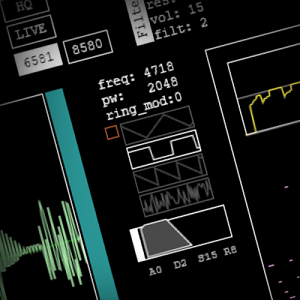 Notes both for the AdLib/SB player and the prototype music editor. Also sound effect lists for games. Notes from December 1991 with ideas for my PC music player for AdLib and Sound Blaster. Notes from January 1992 with ideas for my PC music player for AdLib and Sound Blaster. A list of the sound effects for the PC platform action game Harald Hårdtand. Dated February 1992. 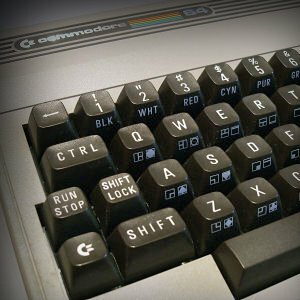 A list of suggested C64 tunes that I pondered converting to AdLib/SB on PC. Only Laxity’s The Alibi and Star Dream were eventually transferred among these. Notes about adapting the PC music player for AdLib to handle the soundtrack for the PC platform game Lollypop. A list of general sound effects for the PC platform game Lollypop. Dated November 1992. I doubt the phone number in the bottom works anymore. Notes about improving general and level-specific sound effects for the PC platform game Lollypop. A list of general sound effects for the PC platform game Lollypop. Dated November 1992. A list of sound effects for the “Spooksville” level in the PC platform game Lollypop. Also a little bit of 8086 assembler code. Ideas for my AdLib music editor on PC. Dated August 10, 1991. Ideas for my AdLib music editor on PC. 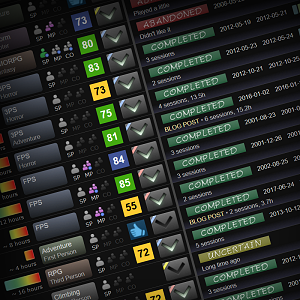 More ideas for my AdLib music editor on PC. Dated February 1992. Notes about the header format to be used by my AdLib music player on PC. Dated March 1992. There are drafts for an article and two interesting letters, and there are scans of my pocket notebook. Draft of an article (probably for a C64 magazine). It describes how to utilize the test-bit in the SID chip when composing tunes. A collection of chord counts from my notebook. I sometimes referred to these when constructing arpeggio chords in my old SID tunes. A draft of a reply for Barry Simpson from Hewson that had showed some interest in my music for C64 games. I don’t think much came of it, though. A list of the guys that had a copy of my C64 music editor, complete with the special byte code that was implemented into each of their personal copies of it. A continuation of the list of the guys that had a copy of my C64 music editor. In the top was also a list of guys I had asked if they would want a copy of it. It’s quite interesting to see here that Zenox of Starion actually rejected it. A draft of my second reply to Charles Deenen after he had turned down the C64 music in my first sending. The was for the the second sending where he would end up getting impressed by the Push-It tune. Great stuff! I remember using the player in assembler intros when I was 15. I really didn’t know exactly what I was doing back then but it helped me a lot. Thanks for many hours of nerdy fun!! !